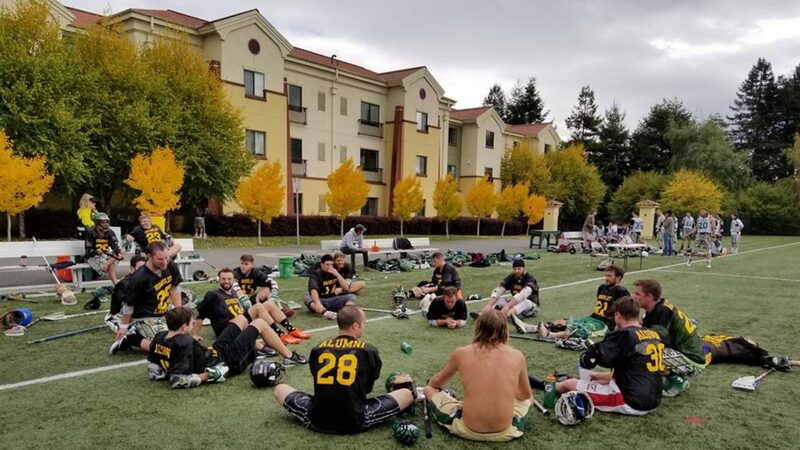 Led by a pair of flashy freshman and an old-school goalie, the Humboldt lacrosse team is headed to the Western Collegiate Lacrosse League postseason for the first time in four years. The Hogs (4-4) clinched a playoff spot after their win over San Jose State on April 15. With one game remaining in the regular season, the Hogs’ still don’t know who they will play in the first round; but regardless of the opponent, Humboldt will take the field on April 29 for their first playoff game since 2013. Offensively, the Hogs are led by a trio of scorers. Rookies Michael Elliot and Richard Thomas, and senior attack Schuyler Honnen have booked in every game and account for more than 80 percent of the team’s points. Elliot (3.875 PPG) and Thomas (3.5 PPG) also rank among the top in the WCLL for points per game. Elliot leads the team in scoring (31 points) and assists (17). Fellow freshman Thomas brings a balanced blend of offense to the Hogs, netting 14 goals and 14 assists in only eight games. Honnen returns to the lineup after a year’s absence and the senior from Del Mar has 21 points on the season, including 18 goals. 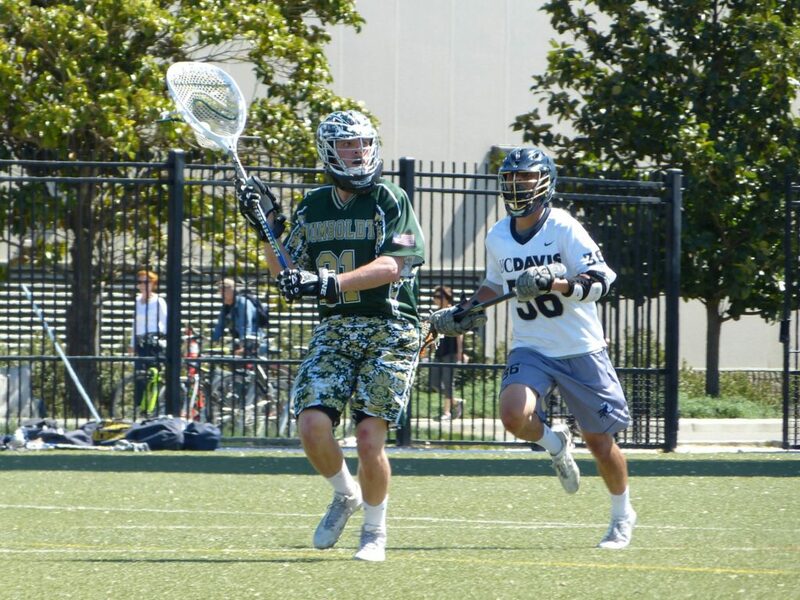 Senior goalie and team captain Dillon Sheedy has arguably saved his best for last. The Truckee native is again one of the stingiest netminders in the WCLL, averaging more than 14 saves a game with a 64.3 percent save average — a career-high. Sheedy, a three-year starter and two-time all-conference goalie, has never played in the postseason during his time with the Hogs. But no matter how deep of a run he leads the team, Sheedy’s final destination in the Hall of Fame is assured.